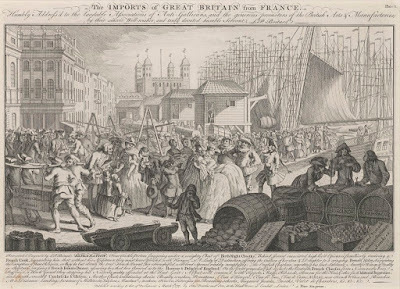 The Imports of Great Britain from France, Louis-Philippe Boitard, 1757, Government Art Collection. Despite being born in France, Boitard was more than happy to tap into British worries about French influence on their culture. 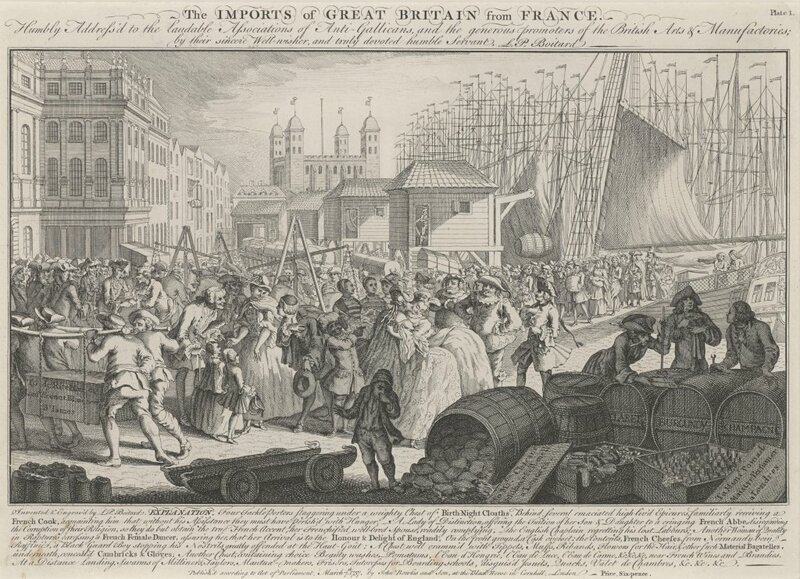 This political cartoon depicts the arrival of dandies and the emasculation of Londoners by the goods brought across the channel. published some eight years after Hogarth's Gate of Calais, perhaps Boitard is attempting to bookend Hogarth's piece by providing the geographical opposite to his work. Swarms of Milliners, Taylors, Mantua-makers, Frisers, Tutoresses for Boarding schools, disguis'd Jesuits, Quacks, Valet de Chambres, &c. &c. &c.
One wears a round hat, the other a knit cap. Each wears a plain neckcloth draped over their simple jackets (which appear to be without cuffs, and a pair of petticoat trousers. 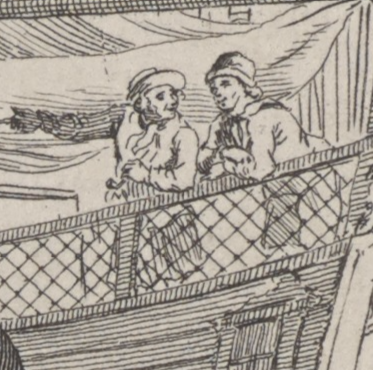 The man on the left holds a pipe in one hand, and wears a bob wig beneath his round hat.